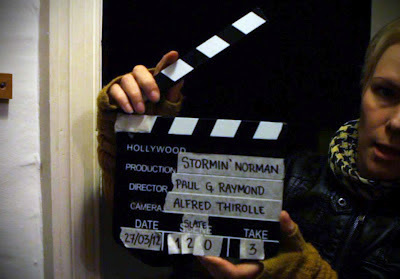 Tuesday 27th of March 2012 - the fifth and final day of our film shoot Stormin’ Norman. This was the D-day. 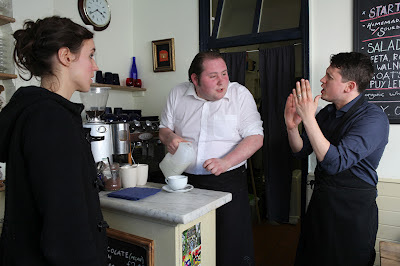 The sun was shining upon us all as we found ourselves at the Blue Brick Café in East Dulwich for the last time (sob!). While we were waiting for our director Paul to make his appearance, runner Anthony kick-started the day with some well-needed cups of coffee and tea. Boom operator Pan even had time to fix his “seen-better-days” trainers with some gaffer tape! We knew it was going to be a long and challenging day, yet filming commenced in good spirits. Bright-eyed and bushy-tailed, we all got to work to get the final scenes done. From time to time, curious pedestrians stumbled on our set to see the cast and crew immersed in the wonderful world of filmmaking. Demanding as our schedule was, we fuelled ourselves in between takes with the now famous banana fritters (which received a standing ovation – thanks Jon’s mom!) and delicious vegetable curry courtesy the Blue Brick Café. Time flies when you’re having fun, and today was not going to be any different. Before we knew it, the sun was disappearing behind the buildings and it started to dawn on us how much work there was still left to do. Like true soldiers of art, we pushed on to see the job done –and without a whisper of complaint from anyone. As the darkness crept in, we finally managed to get all the shots in the café done. 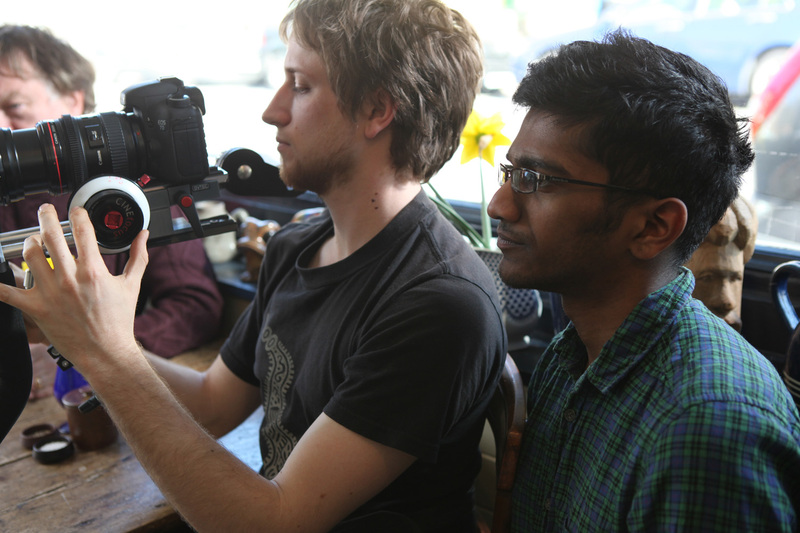 As we were already running behind schedule, we quickly made our way to our second and final location in Streatham. While our transport coordinator Josh gave his sleep-deprived eyes a well-deserved break in the car, the rest of the crew ignored all the signs of tiredness and kept going. The estimated wrap-up time had been 8pm – it was now past 9pm. This was a rare occurrence – the production had been run efficiently so far, and we even managed to cut a day of filming…but if there was any day for us to be behind it had to be the last! In spite of exhaustion, laughter and jokes were still very much part of the atmosphere on set. To boost our morale, producer Jon pulled out all the stops to fill our hungry bellies once again with some delicious creations. Day Four of filming for Stormin’ Norman. From the outset I could tell it was going to be a good day’s filming from the weather forecast – unbroken sunshine and temperatures close to 20C. Probably a good thing too, as Day Four involved filming down East Ham High Street and in an open park in Dagenham – hardly ideal for cast, crew and equipment if it’s pouring down! I did, however, make the mistake of wearing a black polo shirt that day – not the best idea given the sunny weather! 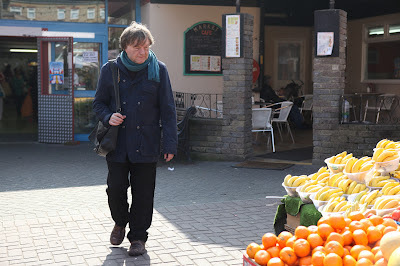 My role as transport co-ordinator had already started prior to the take of the day’s filming – I had spent the previous few days researching how to shepherd the masses from their respective homes to East Ham, and then from East Ham to the park in Dagenham by both public transport and by car. Now you may think that organising transport may be a case of rocking up to the station and taking the first train or simply opening a map and pointing out a route, but I like to think it’s much more than that – it’s time saved from getting lost from not being 100% sure how to get from the station to the shooting location, or time saved not looking for a parking space because you know where the nearest car park is! That time saved could mean getting an extra couple of scenes filmed and getting ahead of schedule! Yes, I can get pretty defensive when it comes to transport! On location I become another runner alongside Anthony, Zainab and Ashney. As well as transporting food (once again provided by Theresa and Perlita – yummy sandwiches!) and sorting out some post-production issues, I also got on with videoing some behind-the-scenes footage. 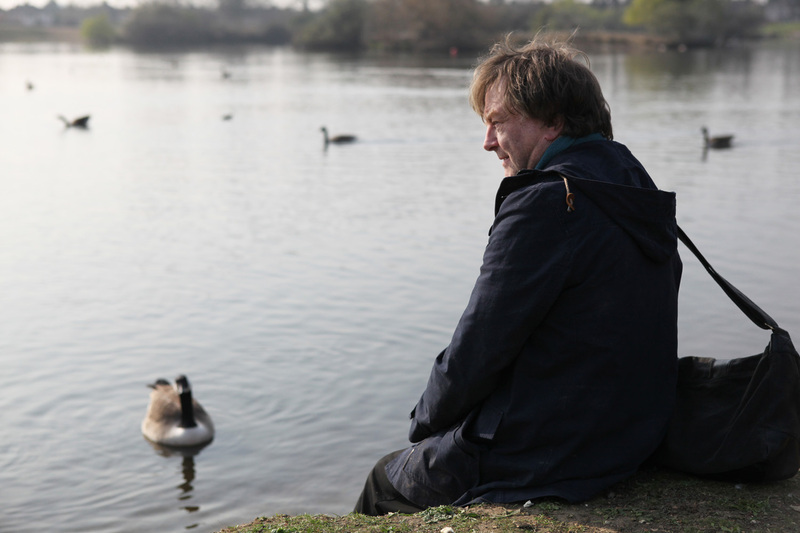 This involved chasing ducks for an interview – hopefully that’ll make the final cut of the ‘Making Of’ video! All in all, it was a wonderful and productive day, which set us up nicely for the final day of filming. I come from the more unlikely of backgrounds for this shoot – I studied Economics at university and hold only two stints as an assistant producer on two theatrical productions (the last being Encompass' acclaimed 'What It Feels Like'), so I do not have much working knowledge of how a film is made and produced. 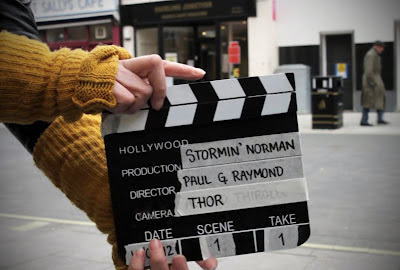 One of the things I’ll take away from being on the Stormin’ Norman crew is the unique insight in to what goes on behind the scenes and the immense effort planning that has gone on during pre-production and filming (especially how incredibly repetitive it can get), and a new found respect for the filmmaking process. It’s also highlighted to me the importance of the arts in these difficult economic times, and how important funding for arts projects in the UK doesn’t drop off so that projects like Stormin’ Norman can flourish and showcase the best talent from all fields in the arts. Want to help Encompass do just that? Become a patron! I’ve enjoyed every single moment so far and I’m proud to put my name to this project. I’ll miss, amongst other things, the callsheets and the driving around to locations and meetings. I’ll also miss the banter, the laughs, and the opportunity to sound like a female sat-nav voice. But there’s still one more day left. Bring it on! Our third day of shooting Stormin’ Norman was always going to be an ambitious and demanding one. 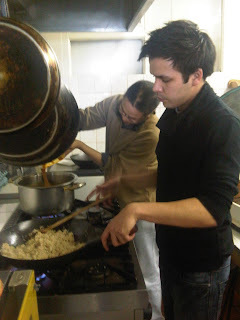 It takes us to new locales, includes the most characters, and we wouldn’t have Pearl and Theresa (our producer Jon’s mother and sister) coming over with cooked meals. We were shooting scenes from three separate days in our story. 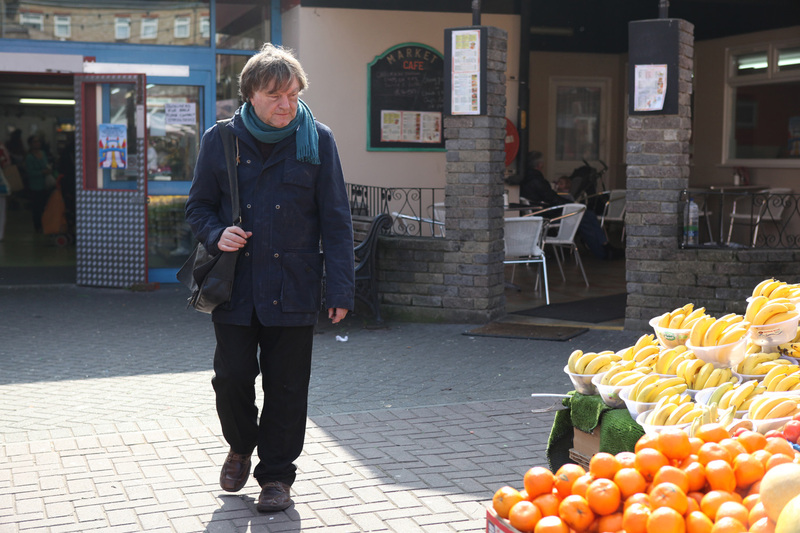 We started shooting a scene that is exemplary of the routine of Norman’s day to day life. This took quite a while to perfect as our shot was reliant on cloud cover but they kept moving to accommodate the sun which, for the first time since last year’s Indian summer, blazed. 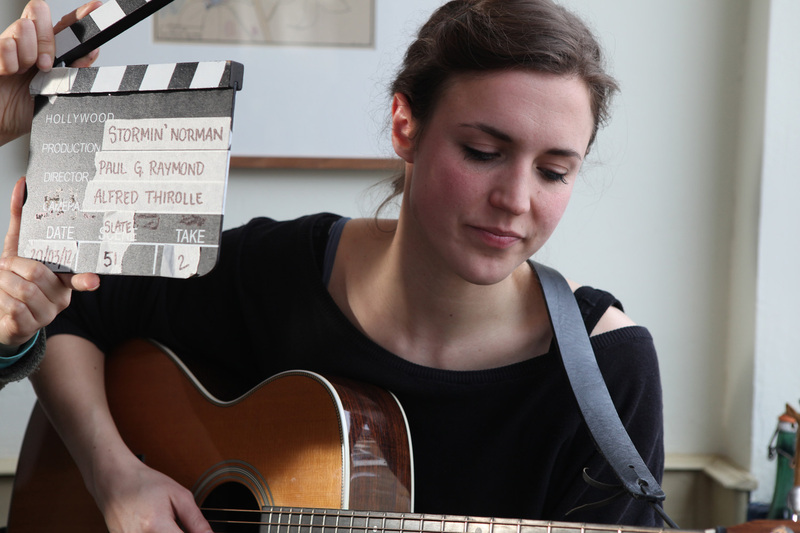 The crew were all impressed with Eva’s beautiful singing voice: despite how many times she had to sing her song, the music was a welcome addition to our shoot. It’s gratifying to have that diegetic sound while filming, rather than adding it in during post, as it allows the crew to read the scene better. Our next scenes filmed were a lot of fun, how can you not enjoy being given the licence to repeatedly slam a door in someone’s face? This was something our actor, Nick seemed to thoroughly enjoy. The next scene filmed was quite a challenge as it involved filming a scene of little over a minute long from 15 different angles. We managed to get it done in just under four hours. Spirits were kept high with Nick’s adlibbing and Liam’s priceless mock-gormless reactions. At one point, the cast started corpsing, but they composed themselves after a couple of takes. 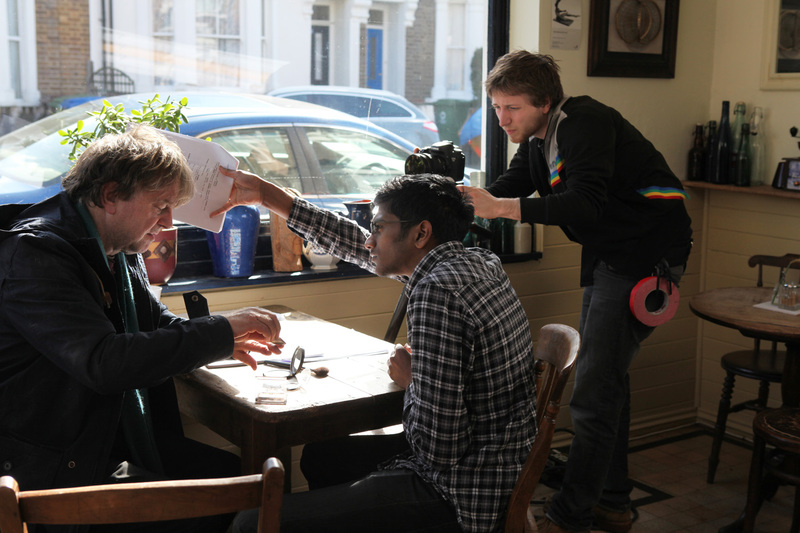 We shot in the Blue Brick Café, a specialist café that caters an exclusively vegetarian and vegan cuisine. The chef, Dan, generously brought us vegetarian curry and fried rice, which was cooked by our transport coordinator Joshua and our producer + 2nd AD Jon with help from our runners Ashney and Anthony. It was a treat and somehow led to a heated debate about which was the better meal, a full English breakfast or a Sunday roast. At the moment, the crew have cast their votes and it’s neck and neck, 7 for a roast dinner, and 7 for an English breakfast, it’s up to our DoP Alfred to cast the deciding vote and we will know once and for all: WHICH is the best meal of the two? What do you think will win? Answers on a postcard. Preparing lunch courtesy of the Blue Brick Café! We were shooting early in the morning in an unfamiliar location, after a very late shoot the night before and I am proud to have been part of such an unflappable crew and cast who brought their A game to the table and didn’t fumble. Ladies, gentlemen, boy and girls, children of all ages, Encompass Productions is proud to present you day two on location of the Stormin’ Norman shoot. My name is Anthony Anthimou; I am one of the runners on set to assist with the coming together of this short feature production. This was my first project with the production company and I was looking forward to our new venture. By reading this you will gain insight into my world and views of the day that we had in store for us…..so here we go! 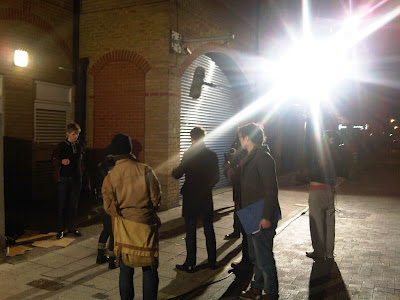 The date, Monday 19th March, the time, approximately 18:00, the crew is set the cast is ready for the second day of filming. The good thing about a second day shoot is that all the cast and crew know each other, so all the getting to know you period is over and we could all get ready to rock and roll. This was also our first night adventure when it came to capturing the essence of Norman, this required more lighting, warmer clothing and lots of hot teas. We were using the same location as we did on the first day of shooting, Norman’s home as I like to call it. 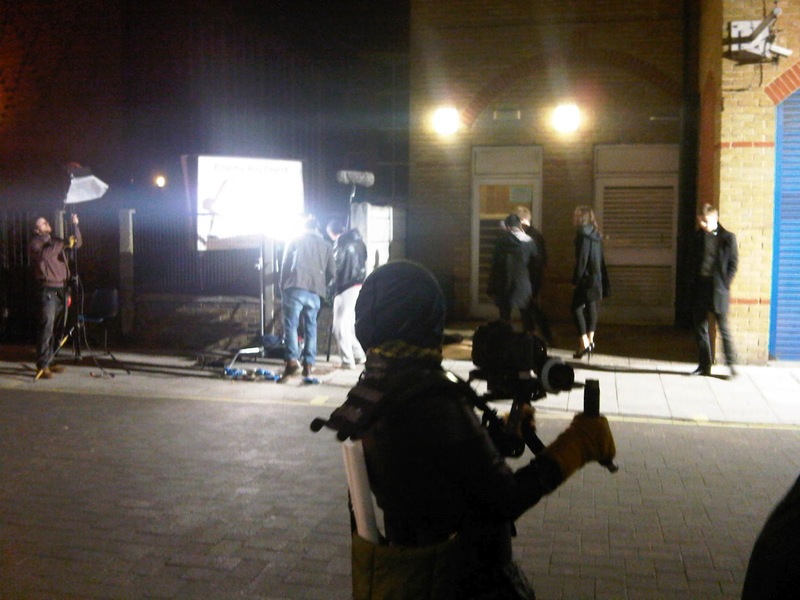 Being that we had to film at night we used a lot more equipment and had to be careful about the security of the cast, crew and equipment. As we set up for filming we had a lot of pedestrians interested in what we were shooting; when they see big lights and cameras, they are like moths to a flame. 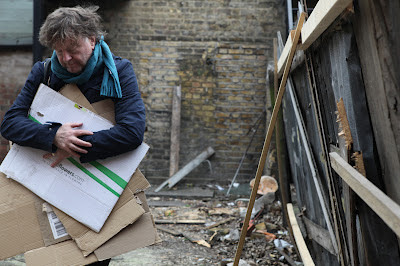 Most of which actually thought Norman (played by Christopher O’Shaughnessy) was a real homeless man and that we were shooting a documentary. One gentleman in particular was so convinced, he came up to Norman, interrupted the shoot to offer to buy him food. Even after ten minutes, the gentleman would not concede that we were filming, needed to record dialogue and thus required silence. So Jonathan (the producer) and I ushered the gentleman to the side (and out of shot), to which he explained that he was sympathetic to Norman’s predicament because he used to be homeless. The guy was pretty cool, he talked about his life and where he wants to go in the world and we wished him the best and returned to the end of the shoot. On the whole the team was amazing, as a runner and a future film maker I learnt a lot and gained valuable experience and friends. We worked well as a unit, from the director Paul, to the actors to all the crew, it was a quality atmosphere and I look forward to more days of filming. On a side note, the catering was amazing, provided by Perlita and our costume designer Theresa (Jon’s mother and sister!). The food was lovely and the teas/ coffees were of the highest quality (only because I made most of them LOL). P.S the apple juice came in very handy, if you want to know why, well you’re just gonna have to wait to see the film. What. A. Day. And a great one at that! The first day of a film shoot can always be nerve-wracking, and on a project like this there were many reasons to be scared. For the Stormin' Norman film crew it was the first time they had ever worked together on actual filming - some of them actually met for the first time today! For those who have been working with Encompass Productions for nearly two years, it was the realisation of not only a new project, but the first ever Encompass production on film. And without going into too many details, the journey of this project has certainly given us all new challenges and we've learnt immensely from it. The call was 07.30am at East Ham, a town in the London Borough of Newham. This would serve as one of the places where Norman (Christopher O'Shaughnessy) - a grieving homeless man with a boundless sense of optimism - will reside in our story. Written and directed by Paul G Raymond, the short film is a comedy drama centred on an unlikely friendship between a grieving man and an aspiring musician. Today Thor Eliasson was our Director of Photography, taking the reigns from Alfred until he returns for our shoot on Monday. Without spoiling too much, today was mostly shooting Norman's "routine". As this was on location, one of the earlier challenges was making sure the public would act natural - even with various signage and runners ushering the public! Despite these early difficulties one thing was clear: the good folk of East London were very interested in the film - once we had heard "he looks homeless" from a few people we knew we were doing something right! We'd get asked a lot of questions, and due to the content of the film many an interesting conversation was struck up with various members of the crew. We were told about the local (real) homeless man, who lives nearby. Lo and behold he actually passed by and spoke to us - Mr. Ackbar told us about London Street Rescue, an organisation that helps rough sleepers off the streets and into accommodation. He also told us about the street where he has slept for quite some time, and said that if we needed anything to come by and he'd be happy to help. 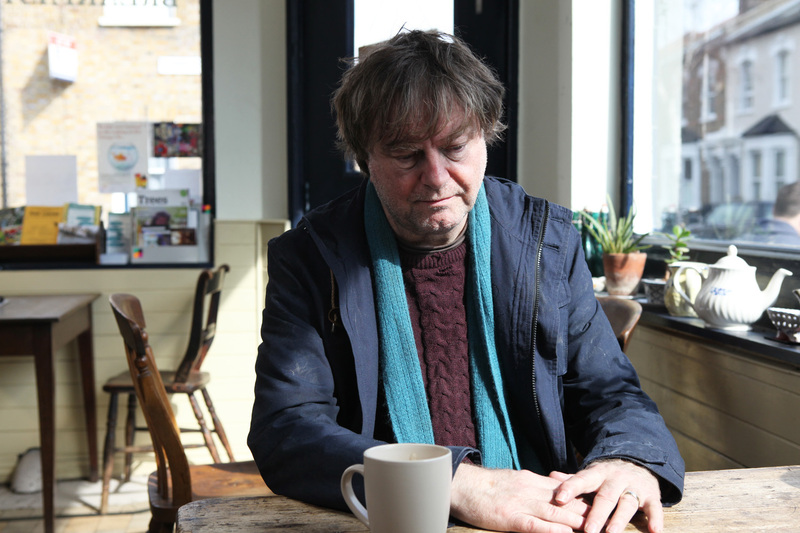 The kindness of this man was truly humbling - our film is trying to portray homelessness realistically, and a big part of that is to show Norman as a person that happens to be homeless, rather than simply a "homeless person". Mr. Ackbar clearly was a real-life example of this. Another strange co-incidence was that there was a Shelter street team today talking to locals about what they can do to help the homeless. We even had a kind lady try to offer Christopher some money during a take, not realising we were filming - she had tears in her eyes and he had to comfort her afterward. In the afternoon we passed by Mr. Ackbar again - rooting through a bin to find any thing he could salvage, eerily similar to a scene we had just shot. The line between reality and fiction became blurred as art was imitating life and at times it seemed life was imitating art. We actually ran ahead of schedule and managed to shoot some extra footage - no doubt thanks to the work of our excellent film crew, Christopher's performance as Norman, the wonderful public of East Ham and the brilliantly tasty catering provided by Theresa (also costume designer) and Perlita - Encompass patrons also known as my mother and sister. We'll be updating the Encompass blog very regularly over the next couple of weeks of filming. 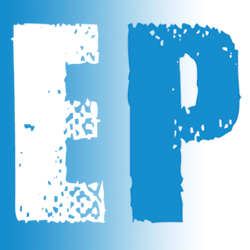 Don't forget you can join us on Facebook, and we'll be live tweeting (@EncompassOnline) each day of the shoot!